If you’ve been using an alphabetical or a straight numeric filing system to organize your medical charts or company’s records, you may want to consider the benefits of terminal digit filing or end digit filing. To determine if end digit or terminal digit filing can benefit your organization, ask yourself if you can identify with any of the following statements. Do you experience misfiles in your alphabetical filing system due to clerks filing names incorrectly or have to constantly train staff on how to file alphabetically? Do you have a difficult time evenly and equally distributing the workload to your file clerks for productivity? Do you need to backshift files periodically to make room in your file shelving after purging records? Difficulty in managing where file growth will occur in your filing system resulting in periodic reorganizing and shifting of files to make room for file growth. 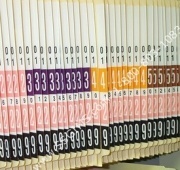 Straight numeric filing systems identify each patient with a unique number, eliminating any confusion about which file or patient chart you are looking with an alphabetical filing system. The main problem with a straight numeric filing system is distribution the workload evenly and equally among your staff and reorganizing and shifting files after purging records. Also, with any numeric filing system you need a cross reference database to connect the patient or company name to the file number. Terminal digit filing, or end digit filing, makes more sense for managing large quantities of records. Terminal digit and end digit filing allows files to expand at a controlled rate, eliminating the need to shift files after purging older records. Depending on how you set up your terminal digit filing system, the last two, three, or four digits of the file number are treated as a single number. Since all numbers in the file are sorted by their ending digits, equal sections can be set up in your file shelving containing the same number of folders, so work can be divided up evenly amongst your file staff. Terminal digit filing does not change the numeric file labels, it just reorganizes the files in such a way that allows you to better manage your filing system. If you are considering the advantages of converting to a terminal digit or end digit filing system, call us today at 1-800-803-1083 or contact us, and one of our records management experts will call you to discuss your filing requirements.